Its lunchtime in my house, and i just dont feel like a sandwich today but something delicious and light! Crespelle! Perfecto! 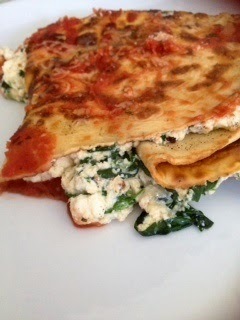 With some gorgeous fresh ricotta mixed in with spinach, the perfect light lunch accompanied by a cold limoata! Heat the oil in a large frying pan over medium heat. 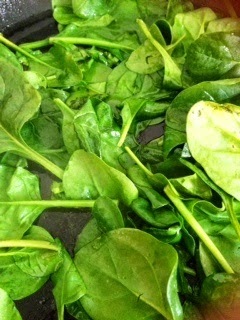 Add half the spinach, cook stirring for 1-2 minutes until just wilted. Repeat with the remaining spinaci. 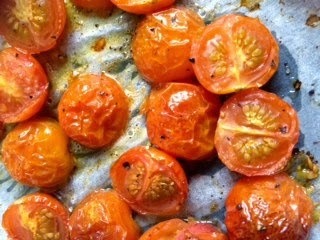 allow to cool completely set aside. For the crespelle place flour in a bowl. Using a wooden soon, stir in eggs until well combined. Stir in 1/4 cup milk till well combined. now stir in the remaining milk. Slowly sir in burro (butter). Ser aside for 10 minutes. Strain through a seive into a bowl. Stir in water, just enough so it has a smooth consistancy. Heat a non stick frying pan over low heat. Add a knob of burro and swirl it around the pan. Slowly pour in 1/4 of the batter. Tilt the pan to cover the base. Cook for 1-2 minutes until the edges of the crespelle start to curl up. Turn over, and cook for another 1-2 minutes. Transfer to a plate. Repeat with the rest of the batter. Makes about 12 crespelle. Grease a baking dish with butter. Cobine ricotta, basil, tomato, chives, rind, spinach and half of the cheese in a bowl. Season. Place one crespelle on a clean dry surface. Spread half with ricotta mixture. Fold in half twice to form a triangle. 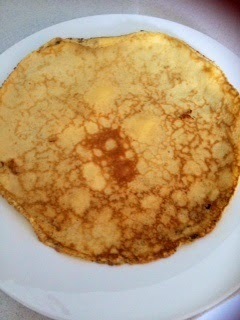 Tepeat with remaining crespelle and ricotta mixture. Pour 2/3 of the passata into a dish. Arrange crespelle into the dish. Pour the remaining passata over the crespelle.